Rosacea is a condition that results in enlarged, inflamed blood vessels particularly on the face. It’s a frustrating and sometimes painful health problem that is estimated to affect a whopping 16 million Americans, and those numbers show no signs of slowing down. Rosacea typically appears in a person’s teenage years and continues to worsen as that person moves into their 30s and 40s. Whilst there are a range of medications available to treat rosacea, many of them are ineffective and can also present a wide range of nasty side effects. If you’re suffering from rosacea, your doctor might simply tell you that there’s no real way to treat it and that you’ll probably have to deal with it for the rest of your life. But as with most other health conditions, the root cause of rosacea is almost certainly linked to your state of health in general, and particularly your diet and lifestyle. 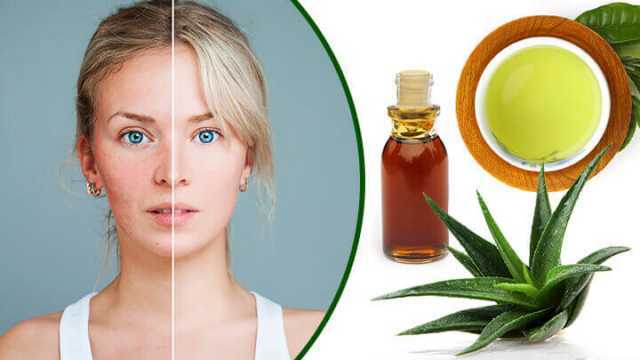 This article will seek to provide some simple, natural remedies to treat your rosacea to not only reduce the symptoms, but hopefully also prevent it from flaring up in the future. There’s plenty of other symptoms of rosacea, all generally relating to imbalances of the skin. Rosacea is quite unpredictable and can flare up out of the blue or remain dormant for long periods of time. It might worsen over the years, remain constant or improve slightly with time. It’s likely that these changes reflect hormonal variations in the body triggered by aging, diet and lifestyle. But that’s probably not news to you. What may be interesting is to learn that certain other foods, particularly those containing gluten, can inflame the gut and gastrointestinal system and create an autoimmune response within the body. The skin, as the largest organ, is one of the areas in which increasing gut inflammation manifests itself. The result is that, with a worsening gut biome, your rosacea is more likely to flare up. Take steps to improve your diet, and your skin will reap the rewards. Aloe vera is one of the best natural moisturizers for treating rosacea. After suffering from a rosacea flare-up, many people would naturally reach for the nearest moisturizer. But despite what the label might say, 99.9 percent of conventional moisturizers do the skin more damage than good. These moisturizers contain a wide range of synthetic ingredients and chemicals that can inflame the skin (and the rest of the body) further, making the situation much worse. Aloe vera, on the other hand, is one of the best natural moisturizers for treating rosacea. 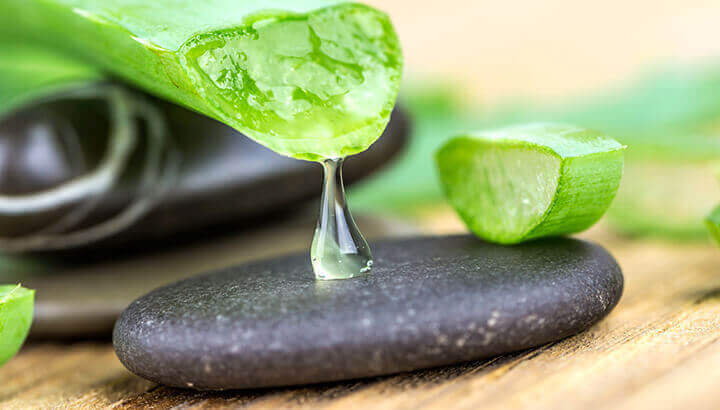 Aloe vera is composed primarily of water, which means that it is one of the most hydrating compounds you can put on your skin. It’s also high in natural antioxidants, which can reduce skin damage and tone down dermal inflammation. The best way to get your hands on pure aloe vera is simply to grow it in or around your house. It’s amazingly easy to look after, and you can simply cut off a stalk when you need to and the plant will continue to grow. Tea tree essential oil is a powerful natural remedy and can be used to treat your rosacea. Keep in mind, however, that tea tree can dry out the skin further if it’s used too often, so only use tea tree when you really need to. Tea tree oil can reduce skin inflammation and provide the added bonus of being a strong anti-microbial agent. So, if you’re also suffering from an infection or fungal problem, it can help with this as well. I always dilute my tea tree oil with a small amount of coconut oil to ensure it doesn’t irritate my skin. Green tea is absolutely loaded with catechins, powerful antioxidants that can help to overcome the inflammation associated with rosacea. Simply brew a strong cup of green tea as you would normally, cover it and allow it to steep for 10 to 15 minutes, then when it cools dip a cloth in it and gently apply the wet cloth to any rosacea flare-ups. Leave on a cucumber mask for 40 minutes to treat rosacea. If you’re currently in the middle of a major facial rosacea outbreak, a nice soothing cucumber mask might be just the ticket. 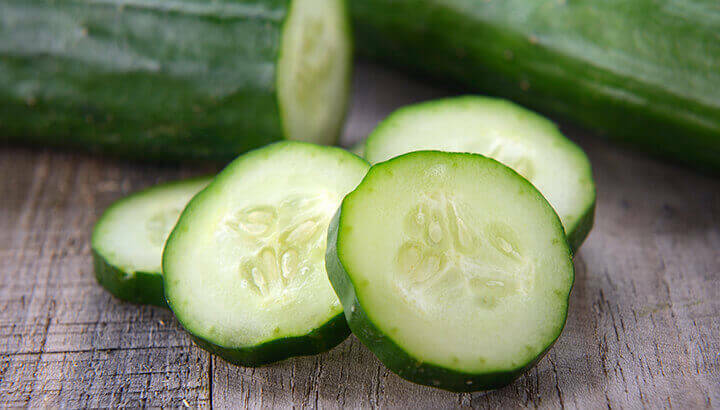 Like aloe vera, cucumber is made up almost completely of water, making it an excellent natural face mask. Simply throw half a cucumber into the blender and apply the pulp to your face. Leave it on for 30 to 40 minutes and rinse off with cool water. Your face should feel fresh and supple, while the antioxidants in the fresh cucumber should help to make the rosacea recede faster. Hey Buddy!, I found this information for you: "5 Natural Remedies To Treat Rosacea". Here is the website link: https://www.thealternativedaily.com/natural-remedies-for-rosacea/. Thank you.